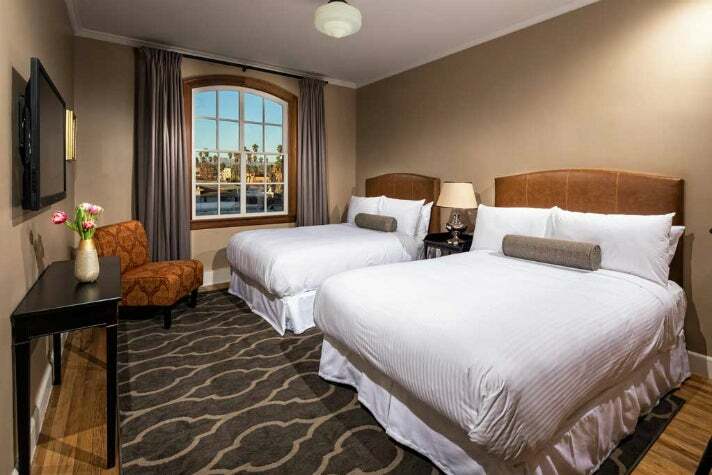 Koreatown is one of your best options for a centrally located overnight stay in Los Angeles. Situated only three miles in each direction from both the Miracle Mile and the hotspot that is Downtown L.A., Koreatown has become a historic, cultural and entertainment destination, marked by the revival of architectural icons like the Hotel Normandie. 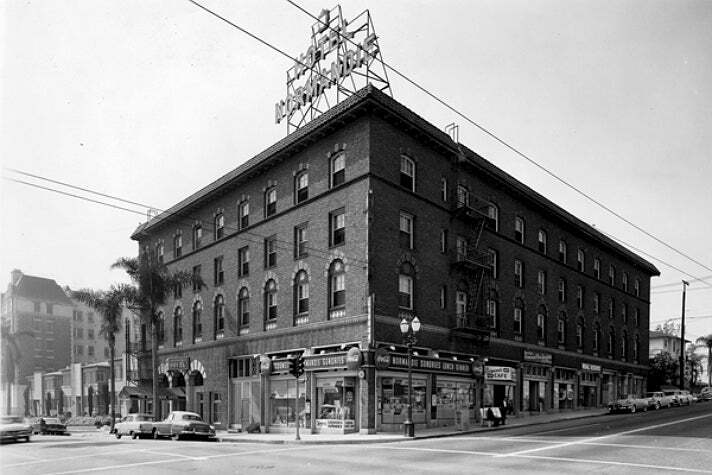 Nearly 100 years old and located just a block north of Wilshire Boulevard, Hotel Normandie is easy to find - just look for its original rooftop neon sign, still lit at night. This area of L.A. is a hotbed of activity, and the new-and-improved Hotel Normandie, managed by BroughtonHOTELS, provides a boutique experience for those interested in the cultural diversity of K-Town as well as easy access to Hollywood and other neighboring communities. The hotel is a one-block walk from the Metro Purple Line station, and is also convenient to Koreatown / Wilshire Center attractions like the Wiltern Theatre, Wilshire Boulevard Temple, Break Room 86, and Roy Choi’s restaurants, POT and Commissary. The Normandie was built as a residential hotel in 1926, when Wilshire was considered an exclusive district even before department stores like Bullock’s and Desmond’s arrived to create the Miracle Mile of shopping. Its Renaissance Revival exterior and Spanish Colonial Revival interior were the work of architectural duo Walker & Eisen, the team also responsible for such L.A. icons as The Beverly Wilshire hotel, the Fine Arts Building and the Oviatt Building. Despite its somewhat colorful past (including a stint as housing for low income residents and a medical marijuana-friendly hotel), the Normandie has remained an architectural treasure with many of its original details intact, earning it landmark designation. 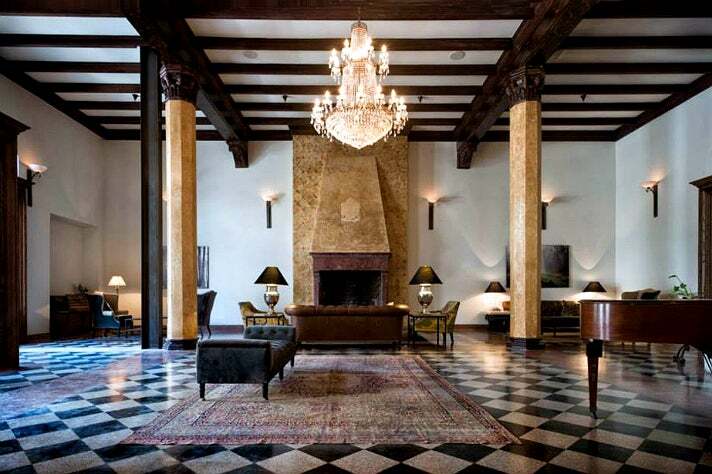 In 2010, Pasadena architect and preservationist Jingbo Lou of J Lou Architects bought the Normandie and launched a $5-million restoration to return it to its former glory. This required extensive work to remove stucco, drywall, carpeting, paint and other additions that had covered up many of the architectural elements. Skylights, a fireplace, decorated wood beams, and original wood doors that hadn’t been visible for decades were revealed. Roof soffits were reconstructed, cornices were replaced, and other insensitive “improvements” from its prior 1964 renovation were removed or adjusted to be more appropriate to the historic character of the building. The Hotel Normandie provides vintage accommodations with modern amenities in a 100% smoke-free environment. The four-story hotel’s 91 rooms have all been restored to their original Roaring 20s flair, with new, vintage-inspired furnishings, fixtures and tile work of the era. Sizes range from Singles to King Suites, and all guest rooms provide complimentary wifi, business services, Starbucks coffee and bottled water. A ballroom and small meeting room are available for visitors in town on business or for special events. Hotel guests may take advantage of an off-site fitness club free of charge. Although there are no on-site spa services offered by the hotel, guests don’t have to go far to find a scrub or a steam in Koreatown. 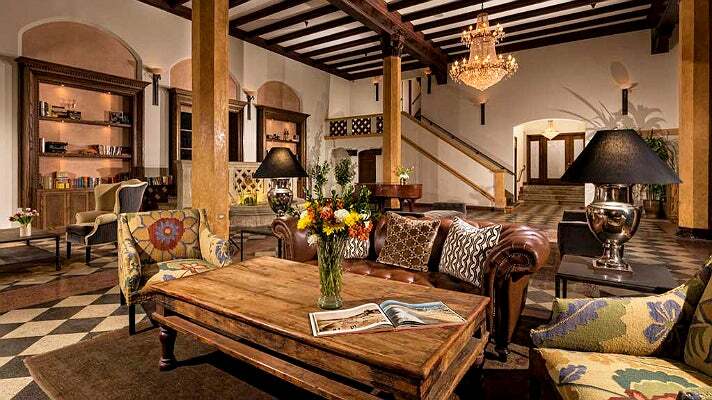 The hotel itself isn’t the only neighborhood gem that was saved in the recent restoration. Since 1948, Cassell’s Hamburgers has been known as one of the best burger joints in L.A., but in 2012 its location - a few doors down from the Normandie on 6th and South Berendo - was shuttered. It has now been reborn with a 1950s diner vibe on the northeast corner of the hotel, with a promise to honor the memory of its founder, Al Cassell. The kitchen uses the original meat grinder and press, and cooks their burgers the same way that Al did: fry it from the bottom and broil it from the top. 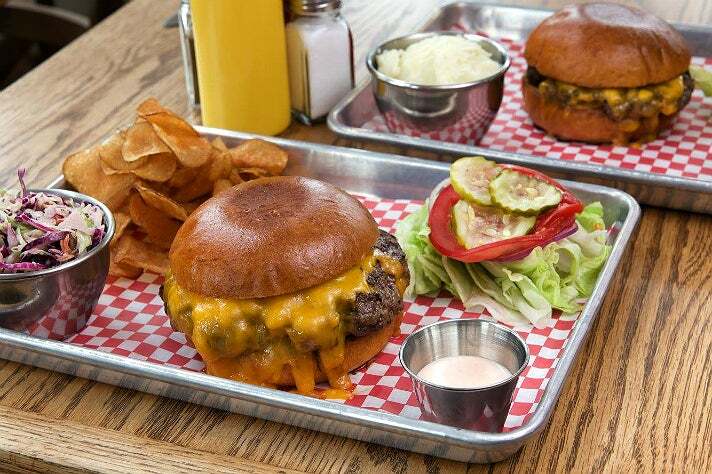 Cassell’s is the only daytime dining (and drinking) option at the Hotel Normandie, and also offers a fully-stocked cocktail bar, coffee counter, and house-made sodas in addition to the traditional burger stand accoutrements. Breakfast is served every day from 8-11 a.m., and the rest of the menu is available 11 a.m. to close (10 p.m. during the week, and midnight on Friday and Saturday). What began as a pop-up has now found a permanent home at the Hotel Normandie: Le Comptoir, a 10-seat counter dining experience by French Laundry alum Gary Menes. Le Comptoir is only open on Tuesday and Thursday-Saturday, with two seatings each night at 6 and 8:30 p.m. 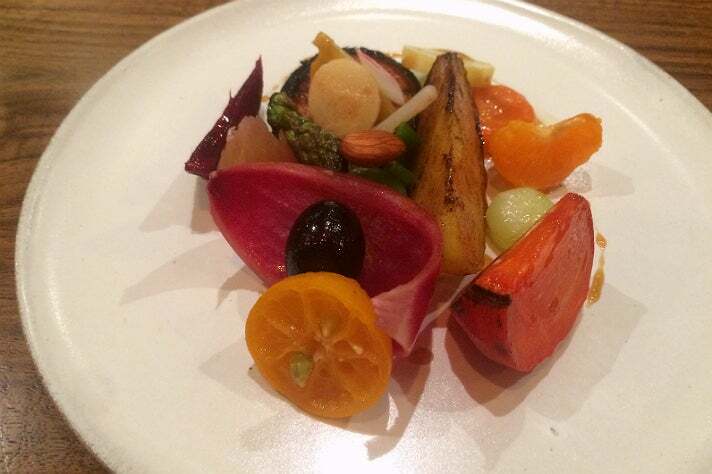 The seasonal menu changes daily and is showcased in an intimate setting where you can watch Chef Menes prepare your food and learn about his culinary techniques. Ingredients are almost exclusively sourced from his urban garden, Gladys Ave Farm in Long Beach, and are assembled together in a six-course prix fixe menu for $69 per person, with an optional $42 additional wine pairing. Reservations can be made at the Le Comptoir website and require a credit card, which will be charged if the reservation is cancelled less than 24 hours in advance. 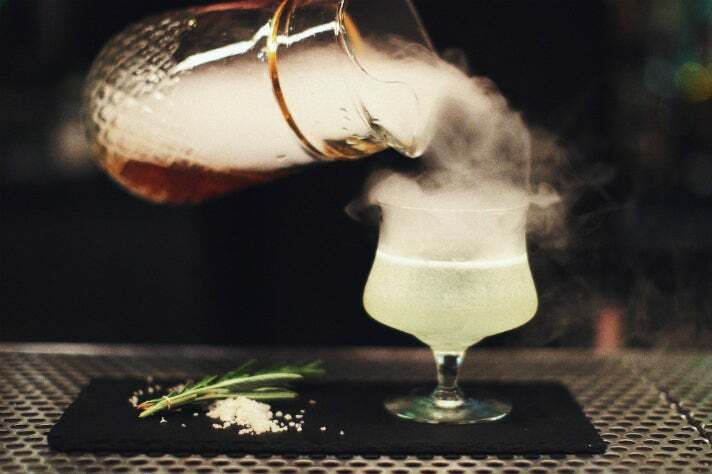 If you want to toast the Hotel Normandie’s recent revival, the place to do it is their cocktail den, The Normandie Club. It’s sort of a supergroup of L.A. nightlife impresarios - Honeycut’s Proprietors LLC has once again joined forces with 213 Hospitality, the masterminds behind The Varnish, Seven Grand and much of Downtown L.A.’s drinking renaissance. 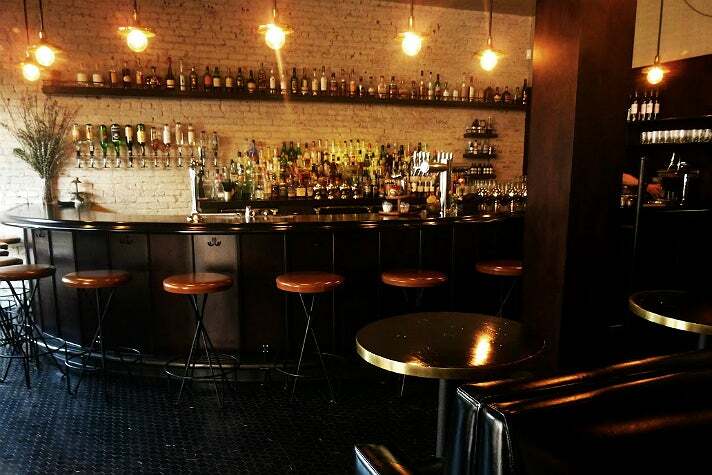 Sip one-of-a-kind beverages under the amber glow of Edison bulbs while sitting in a black leather booth. The vintage setting is not quite of the Jazz Age, not quite Mad Men, but nevertheless iconic in its own right. These days, every hotel needs a club, and every club needs an even more exclusive club behind a secret door. At the Hotel Normandie, you can access The Walker Inn, their special reservations-only speakeasy, through the back of the Normandie Club. Guests can opt for seating in the lounge or at the bar. The lounge serves a la carte cocktails from its menu of classics and rotating selection of themed libations. The bar seats up to two guests at a time for their omakase-style cocktail service, featuring two cocktail courses or more for $45 per person and up. There is no food served here besides bar snacks, so fill up at Cassell’s before you go. Guests of the soon-to-be-opened Rooms at Walker Inn directly above may take their chances as walk-ins, but space is extremely limited. Demand for the Walker’s 27 seats is high, so make your reservations online at thewalkerinnla.com.